On this page you can download 100% completely free games. We also encourage you to go to our FreeStuff#2 area when you are done here for even more epic free games. We would appreciate it a lot if you would put us on your facebook,twitter and youtube pages. Get FOG OF WAR free World War II game very good graphics FIRST PERSON and Multiplayer! 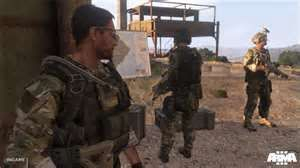 TOM CLANCY'S GHOST RECON ONLINE FREE!